I made a plugin to render HTML before page content (see “How do I make a WordPress plugin?“), but I needed another one. 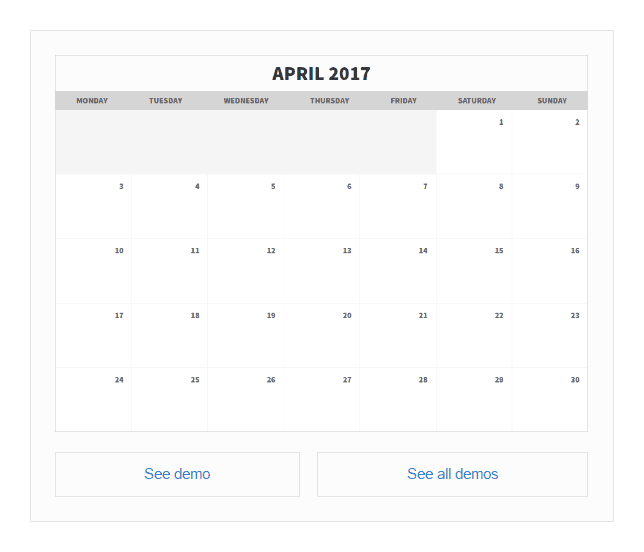 This extension adds “see demo” blocks inside content. I just give links to preview, set image and eye-pleasing blocks appear in place of shortcodes. The extension is available from a GitHub repository; you can go there to see every line of code. I will try to send it to plugin repository shortly. 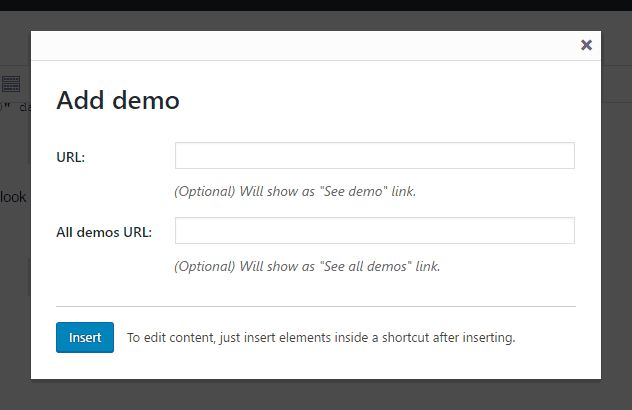 Update: Plugin is already available here: https://wordpress.org/plugins/demo-shortcodes/. To install it from the dashboard, go to Plugins/Add New, change search criteria to Author and look for kantoniak. There is a function to register shortcode [name][/name], you pass a handler function as an argument. Remember to return HTML as a result. Handler function has two parameters. This first one is an array of attributes and the second one is content between tags. Shortcodes will look like this: [tag attr="val"]content[/tag]. Wait for media_buttons action and just render HTML. No idea why there is no function for that, button appearance should be standardized. Have you noticed that link has no href attribute? Usually, this button either opens a popup or directly modifies editor contents. As a bonus CSS code to set button icon. That is why I inserted empty span in the code above. Did you like the content? You can get summaries regularly. A message or two per month. Also, try the social websites! Embed Thickbox using provided function. Render the popup as a hidden block. You need to have a div nested inside, that’s how this library works. Give a link class thickbox and appropriate href attribute. There is a problem, though. Thickbox popup does not set width and height correctly, instead, it stretches to take the whole window. It seems WordPress people don’t care – see #17249 in WordPress tracker. That’s the end of recipes for today. See main PHP file here. You should be able to create a fully functional plugin with shortcodes now. This entry was posted in Tech, Web, Wordpress and tagged DSP2017 by Krzysztof Antoniak. Bookmark the permalink.